3D Arkanoid clone mixed with first-person shooter. Is there a better alternative to Equilibrium 3D? Is Equilibrium 3D really the best app in Arcade category? Will Equilibrium 3D work good on macOS 10.13.4? 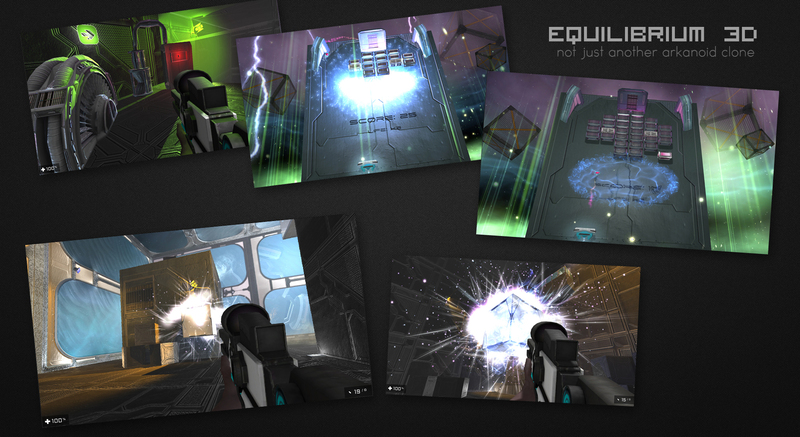 Equilibrium 3D is 3D Arkanoid clone mixed with FPS puzzle/platformer. The unique aspect of the game is that some of the bricks can't be destroyed with the ball - they have to be detonated from inside. This is where the FPS part starts. When you are inside a brick you have to spawn cubes with your special plasma gun and climb all the way up to the detonator. Note: Finder and MacUpdate Desktop report version 4.6.1f1, which is the version of the game's Unity runtime engine. The developer refers to this version as 1.0. Equilibrium 3D needs a review. Be the first to review this app and get the discussion started! Equilibrium 3D needs a rating. Be the first to rate this app and get the discussion started!